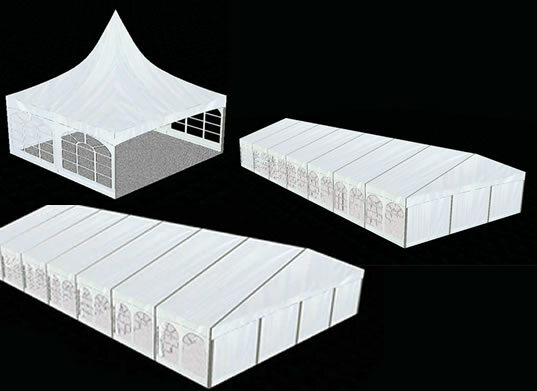 Castle Empire can provide marquee hire with Marquee Empire. Although our Bouncy Castle hire service is only for Manchester we offer the Marquee hire service all over the North West of the UK. You can hire a Marquee for Birthday, wedding or corporate function. Should you want an inflatable and a marquee we can tailor make you a package to benefit from a generous discount. We can offer the marquee hire service in Manchester, Wythenshawe, Stockport, Liverpool, Warrington, Leeds, Southport Preston and further. We have provided many weddings with great success. It is not just the marquee, we can also help with accessories such as flooring, lights, furniture and table linen. The marquee hire is very different from Bouncy Castle hire and we invite you to visit the Marquee Empire website to view our complete range. Book a maruqee and recieve a discount on your Bouncy Castle . We have always discount for returning customer. We have become one of the most affordable Marquee hire companies for Birthdays. We have party packages starting from 20 guests. These packages include tables, chairs, lights and flooring. Party Marquee packages can be setup the day before your party and removed the day after free of charge. Making one of the most special days of your life become a reality is what we do best. We design your marquee packages in 2D and 3D. Should you be happy with the price we then arrange a free site visit to make sure you are happy with design, price and location. On your wedding day you will have many other arrangements aside from the Marquee and we will do our very best to make stress free. Our wedding packages can cater for guests up to 200 guests. We have provided corporate Marquee hire for big names such as Manchester City Council, Manchester Airport, British Gas and MBDA Defence. We can follow PPE guidelines to comply with national and internation regulations. Music festivals and carnivals can apporach us to discuss your requirements. We provide many Marquees and tents for Mehndi in Manchester, Leeds and Bradford. We are often approached from families who require the marquee for multiple days for the passing of family members. We have found a big portion of our marquees going to the Asian, Jewish and Hebrew community. Feel confident that you will always get the best available rate from us. Our team is very dedicated and promising to give you better service.when you next make a booking, we guarantee that you will always receive the best possible rates. Feel free to contact us, or via phone call today 07516388484, 0800 051 1773 any time. This is our best rate guarantee to you. We have very good packages for our customers. We are always changing our packages for the best rate to the customers. For more details please visit our Marquee Empire.